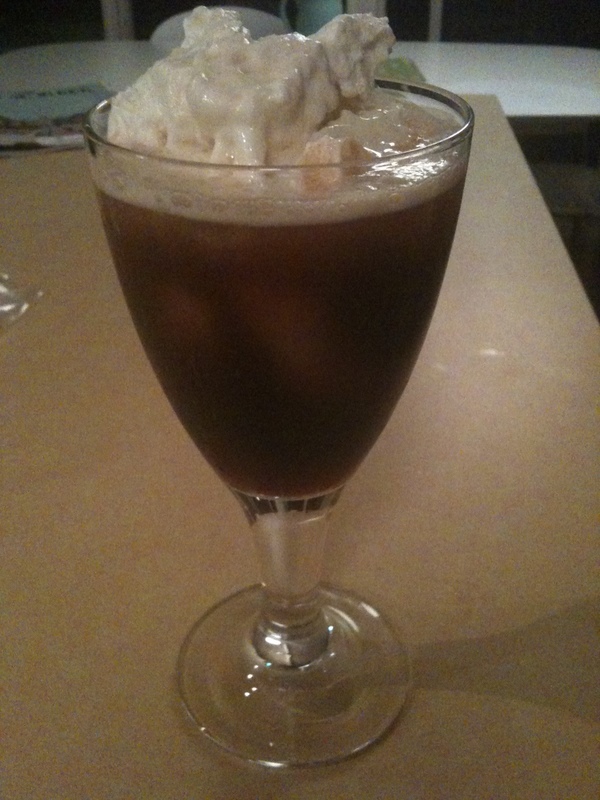 We have a great debate going in our house: which goes in a root beer float first, the ice cream or the soda? This has been an ongoing experiment all summer long, since we discovered Trader Joe’s has a good bottled root beer (& a caffeine free cola that’s pretty terrific, too.) We don’t drink bottled soda as rule around here (although we do indulge in homemade kidtinis), but I’ve been making an exception lately and I keep a few bottles of this soda on hand for fun and nostalgia. 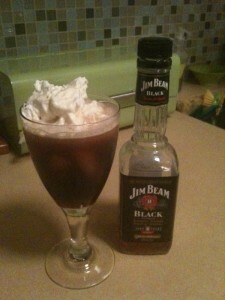 It’s great for a weekend cocktail and floats make for an easy, fun dessert in the hot weather. Especially for guests and grandparents. Lately, about once a week Ella will mix up a cherry coke before dinner or we’ll have root beer floats after dinner. In our effort to settle the ice cream/soda debate, we stumbled upon Bobby Flay’s adult version, which includes bourbon and is pretty much the perfect end to a barbeque if you’re a grown-up. To wit, our method is this, and involves floating the ice cream on the soda. But you put the ice cream in first and get a slightly creamier drink. Fill a large frosty mug with root beer (and a little crushed ice if you like. It’s nice if it’s colder, but it also gets in the way). Float 1 scoop vanilla ice cream on the soda. If you’re an adult, add a up to a shot of bourbon over the ice cream. Top the ice cream with fresh whipped cream. heading to TJ’s after school today to buy the fixings. YUM. Make sure you have some left for my visit this weekend!